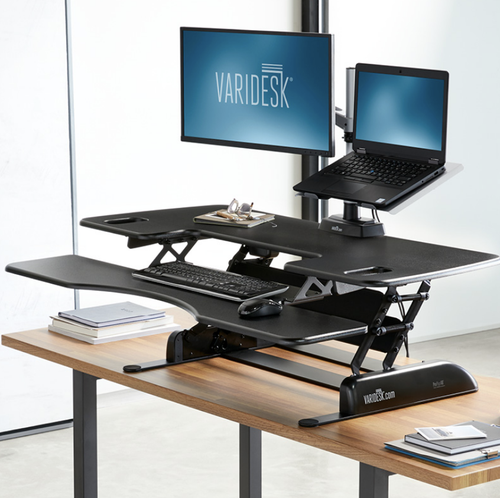 This height-adjustable solution turns any desk into a standing desk, and helps make any workspace comfortable, productive and practical. The long hours at your desk may actually be contributing to backaches and headaches, a lot of this comes from bad posture. It’s important to be mindful of the way we sit at our desks, and this height-adjustable desktop lets you sit or stand to ensure you are not leading too much of a sedentary lifestyle. The two-tiered table top design gives you space for your laptop or monitor as well as a full-sized keyboard, mouse and more.